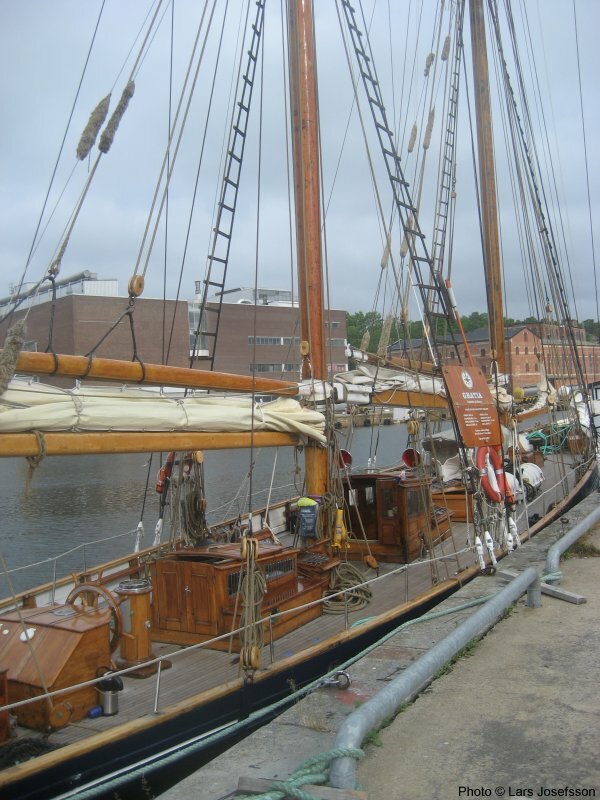 The ketch Gratia from Gothenburg moored in Karlshamn. 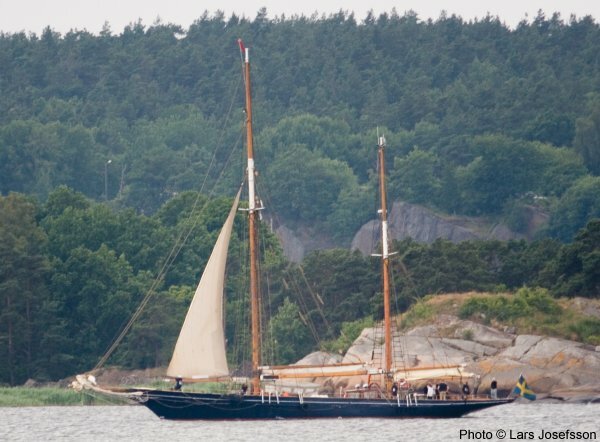 The very beautiful ketch Gratia departs Karlshamn. 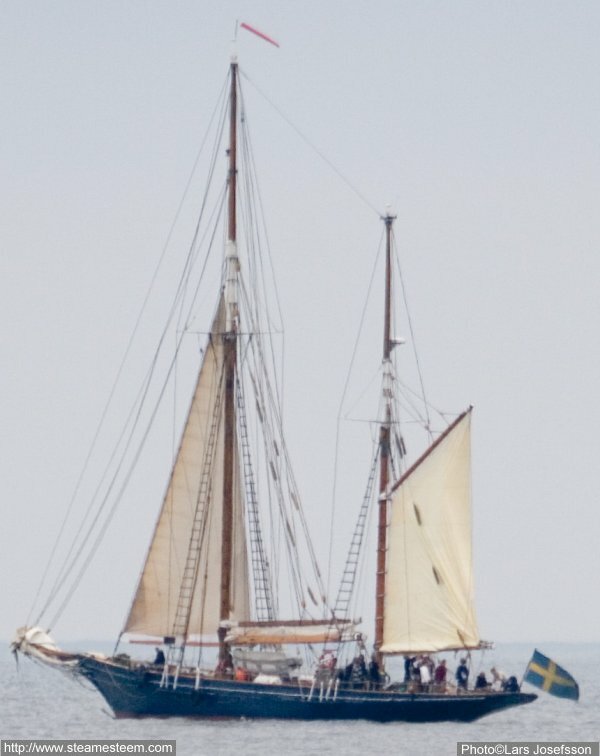 Built in 1900 at Cowes, Isle of Wight, UK as a pleasure ketch.